Pretty much indisputably the most vibrant country on Earth, India can conjure up a multitude of conflicting emotions during any stay. As a result it's not everybody's cup of chai, but those who fall for the subcontinent fall hard, and become lifelong devotees. Wreathed in clouds, Gangtok, the capital city of Sikkim is located on a ridge at a height of 5500 feet. 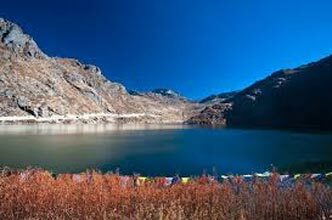 With a spectacular view of the Khangchendzonga, the town provides the perfect base for travel through the state. Once an important transit point for traders traveling between Tibet and India, it is today a busy administrative and business centre and presents an interesting mix of cultures and communities. 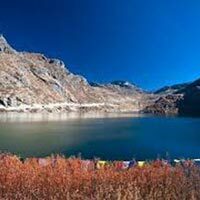 - Tsomgo Lake - Baba Mandir.